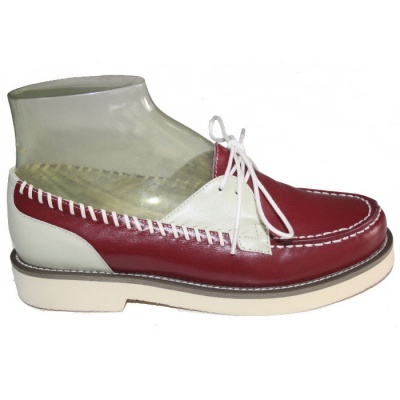 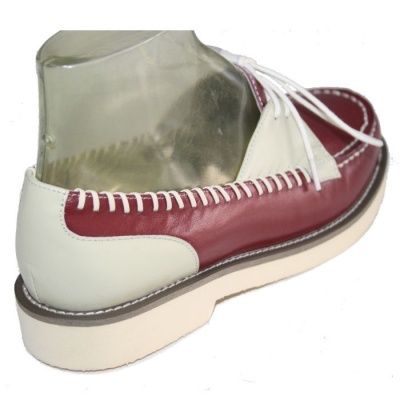 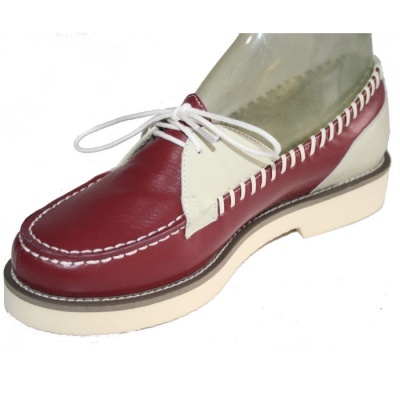 The Rocket Originals' Mitzi style is copied from a vintage American shoe, circa late 40’s/early 50’s. 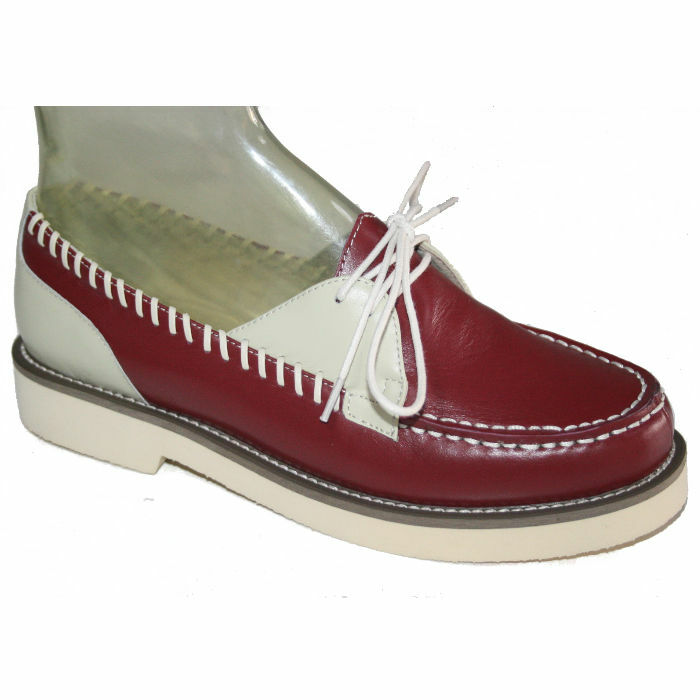 They're made from quality leather uppers with decorative cream stitching and a soft leather lining. 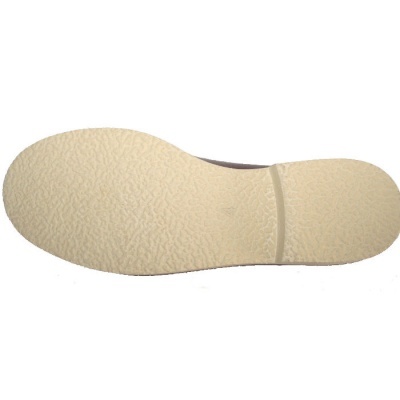 The soles are rubber with a textured surface, exactly the same as the vintage pair we copied. 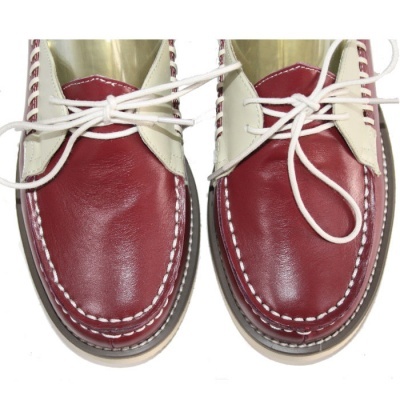 We've had these made in three two-tone colours; burgundy/cream, mid brown/cream and forest green/cream.